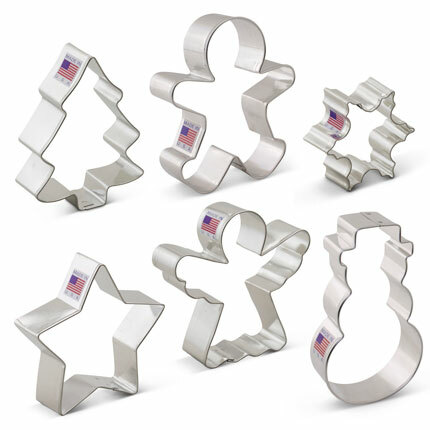 Get in the Christmas spirit with this 6 piece set of themed cookie cutters! 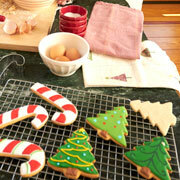 Make gift tags for the season, or cut out (and eat!) 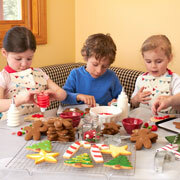 festive cookies. 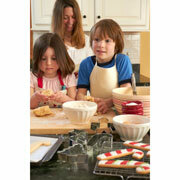 Set includes: Angel- 3 7/8" x 3 3/4"
Star- 2 5/8" x 2 3/4"
Snowman- 4" x 2 1/4"
Snowflake- 2 1/2" x 2 1/4"
Snow Cov Tree- 3 1/2" x 2 5/8"